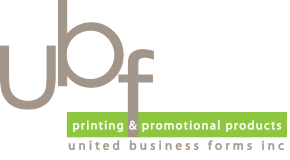 United Business Forms, Inc. / ubf printing & promotional products is a full service printing distributor located in Woodville, Texas. Our company has been in business since 1979 servicing clients locally as well as in the continental United States. We offer great service and the products you want at a competitive price in the market place. Our vendor base is comprised of hundreds of manufacturers around the US. We can help you find solutions for all of your print requirements. Our company started out in forms design and sales. We still provide software compatible and custom checks and forms for all of your day to day functions. Over the years we have expanded to provide your company with all types of printed products, which can be found under products & services. We bring your brand to life through printing and promotions. Give us a call and let us help with your next project. We build relationships that last!